My cousin and I took a spontaneous trip to Thailand earlier this summer and I must say it was definitely one of the best decisions I have ever made and I that I am now a biggg fan of Thailand! We were in Thailand for 13 days and we explored 3 different places - Phuket, Pattaya and Bangkok. We flew in to Bangkok and then took a flight to Phuket on the same day. I would highly suggest flying with Thai Smile or Nok Air because they allow you to bring on a carry-on bag and a free 50 pound check in bag! 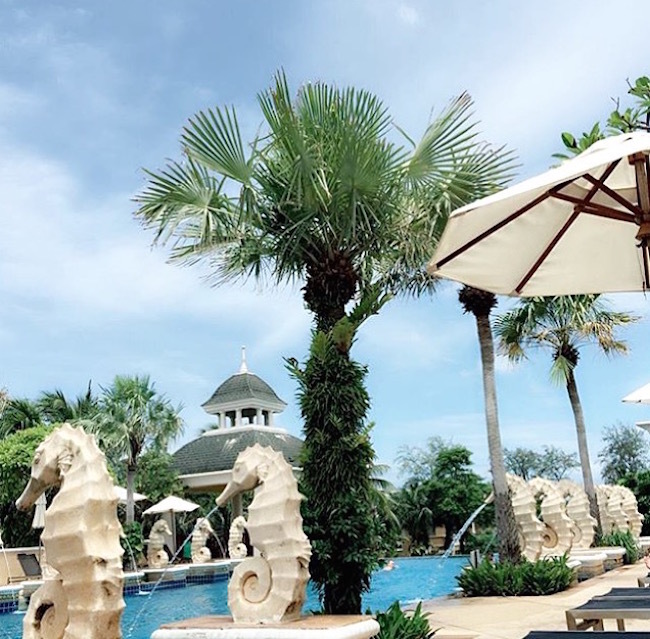 We stayed at the Phuket Graceland Resort and Spa and it was aaaaamazzingggg!!! 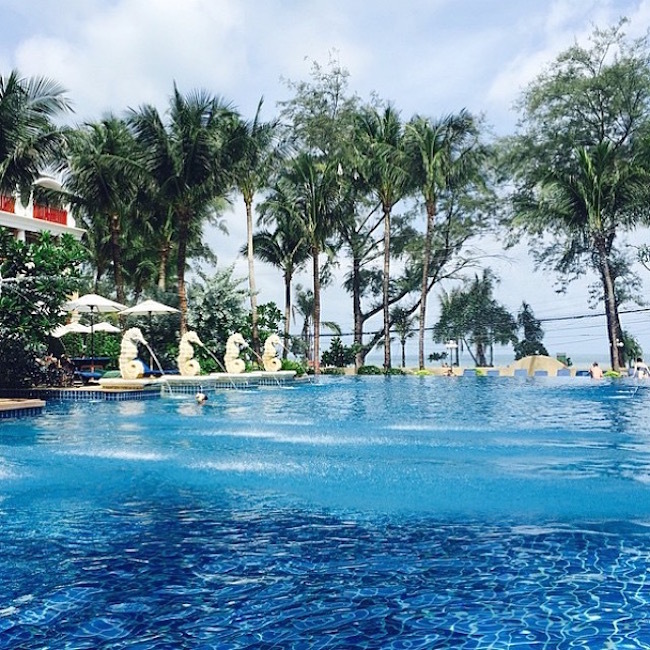 The resort was simply beautiful and all the staff was very friendly and welcoming. I swear, the rain followed me everywhere I went this summer - It rained pretty much everyday that I was in Thailand. 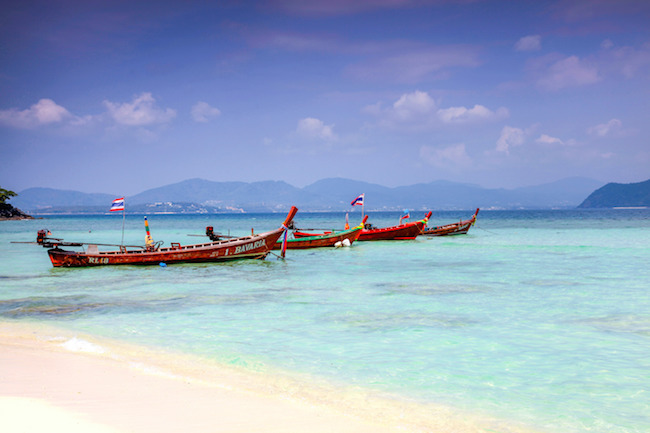 This picture was taken when we took a day trip to Ko Phi Phi Island. 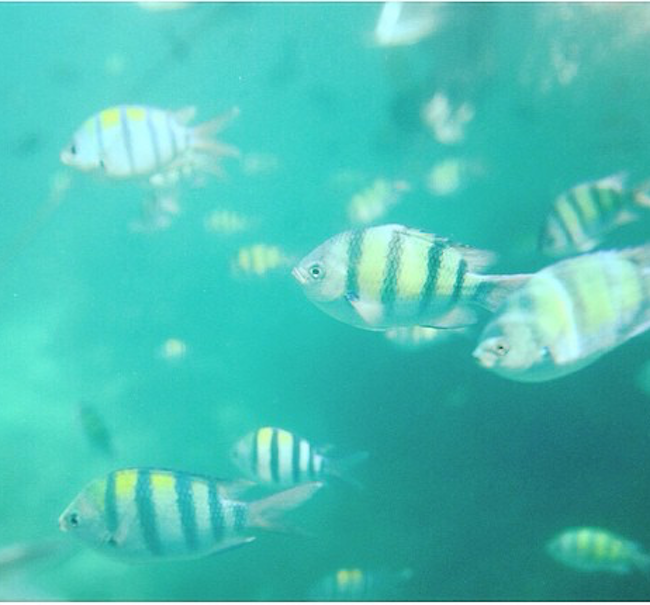 Snorkling in the Maya bay! The water was freezing but it was so much fun! So many snorkelers! Seriously, it is so much fun - you have to do it if you ever get the opportunity to try it! I didn't have a waterproof phone case (big mistake) so I wasn't able to take any cool pictures under the water - but I still managed to get this picture by taking it SUPER close to the water - thank goodness I didn't drop my phone in the ocean. 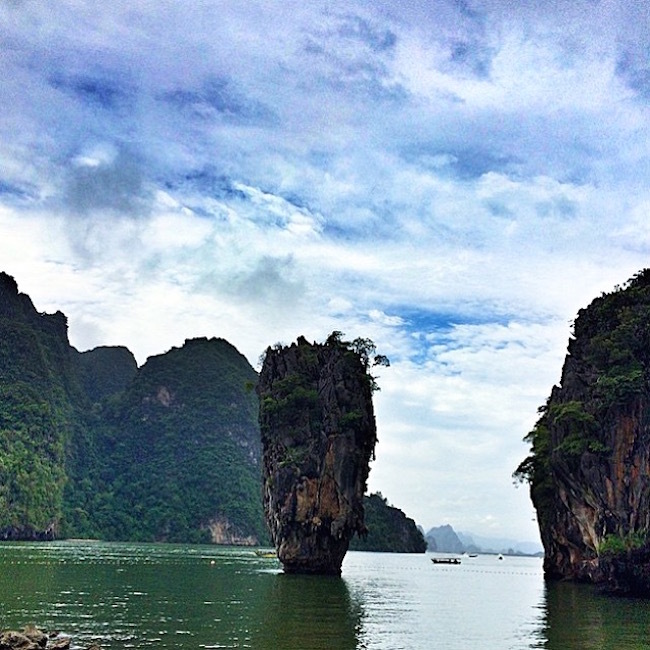 Phang Nga Bay also known as the "James Bond" Island! Rest stop on the James Bond Island! - I love those cute elephant sculptures. A day at Patong Beach! 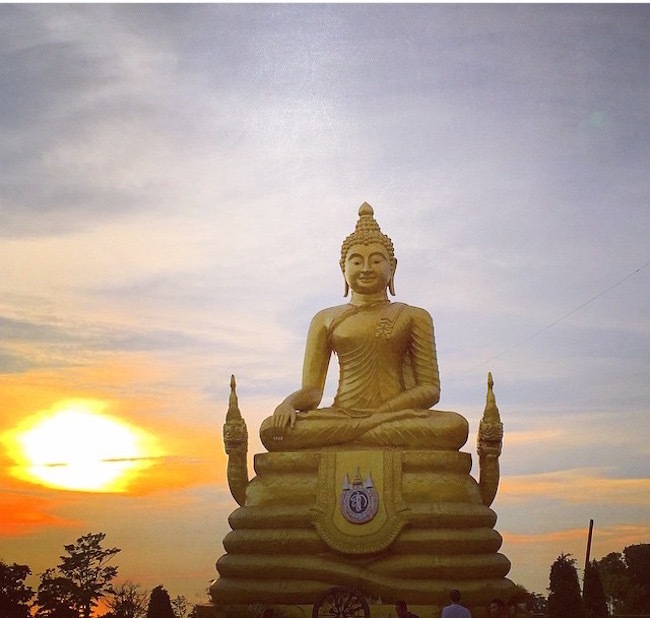 Phuket city - watching the sunset with the Buddha! The famous Big Buddha! Such an unreal experience! My biggest regret on this trip was not taking more pictures - I brought the wrong lens on the trip (classic mistake) but thank goodness for iPhones! I had such a blast exploring Thailand and would definitely go back again if I ever have the chance! Besides all the cloudy days and a few near-death experiences (weather wise), Thailand was simply perfect! I loved the culture, the people, and of course the beaches! Here are some tips and suggested activities that you can do in Thailand in general, and specifically, Phucket! 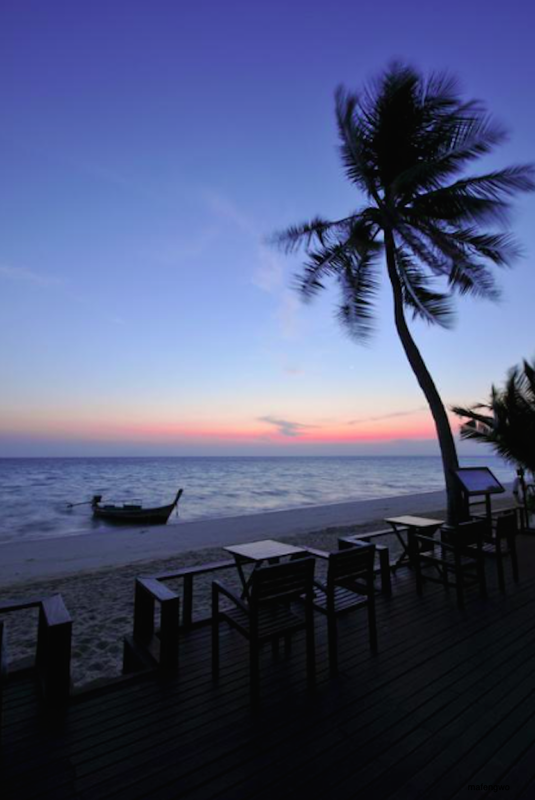 Accommodations: Thailand is very cheap compared to a lot of other places. 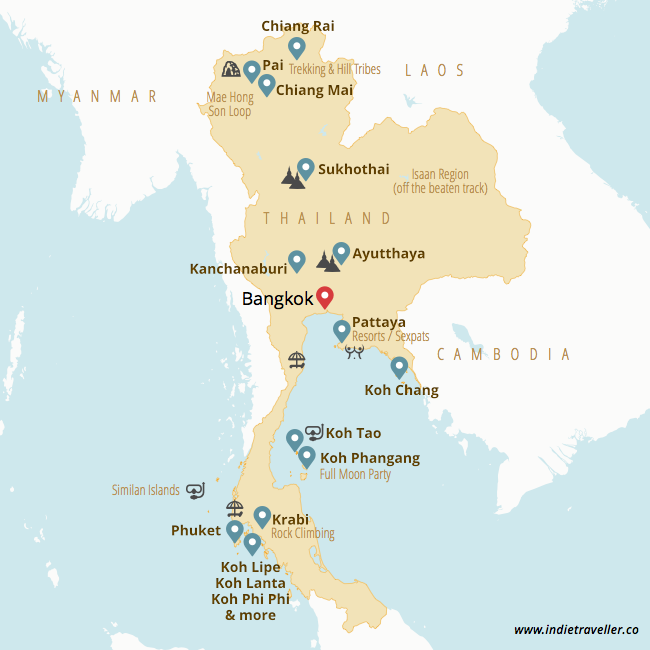 If you are traveling under a budget - you can stay at cheap guesthouses (Airbnb), or local hotels for about 250THB per night in the cities and around 150THB per night in the countryside. 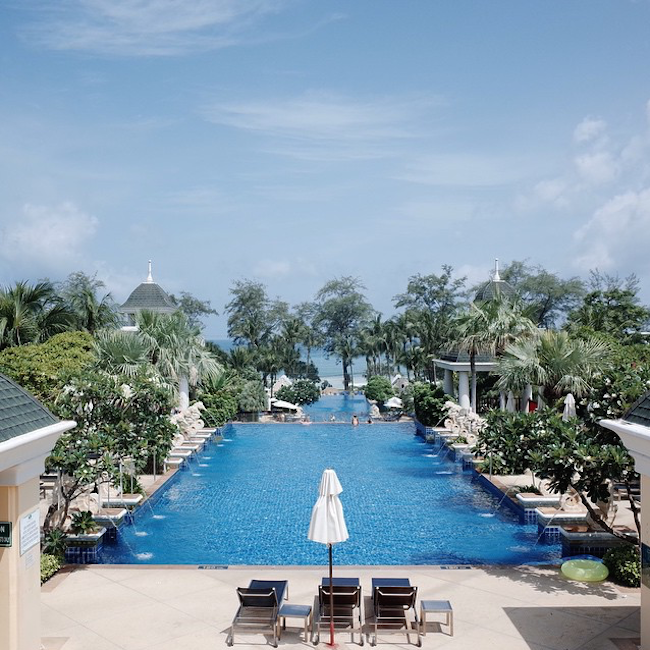 It is a little bit pricier to stay at resorts (2500THB and up per night), but it is totally worth the money if you are staying on the islands, especially in Phuket! Food: I tried a lot of local foods when I was in Thailand, but my usual meals were typically Pad Thai, Fried Rice or Western dishes. The locals love to put coconut milk in to their dishes and I was unable to adapt to that unique taste - but I still highly recommend you try a little bit of everything before saying no, some of the foods are surprisingly delicious! Food in general was really cheap. Street food costs around 30THB per meal, local restaurants costs around 100-150TBH per meal, and high end restaurants/western establishments can cost up to 200-500THB per meal. Transportation: Transportation can be very tricky in Thailand! Taxi drivers usually don’t run on meters and just call out random prices, so unless you are really really lost and have no other options, I would shy away from stopping a Taxi. We made that mistake at first - and got charged 300THB for a 2 block drive, it was awful. However, most hotels do have taxi services and the prices are fairly reasonable - so if you need a taxi, make sure to let your hotel know ahead of time! Other transportation includes local buses, Tuk-tucks, Skytrains (in Bangkok) and Motorbike Taxis (usually orange and about 30THB short distances). Boats to different island cost around 250-500THB and buses and trains cost around 500THB depending on the class and time! It was definitely easier to get around in Bangkok compared to Phuket and Pattaya. But everyone in Thailand was super friendly and most of them do speak English fairly well, so don’t be shy to ask for directions/help! P.S if you feel really adventurous - I would highly recommend you to rent a Motor Bike for a day, especially in Phuket! 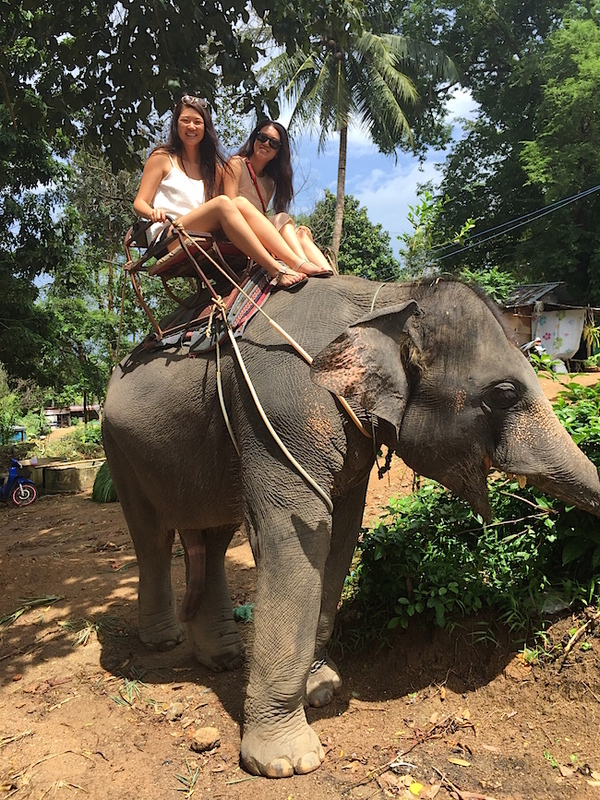 It is cheaper than any other type of transportation and it is a great way to explore the beaches, temples, etc. 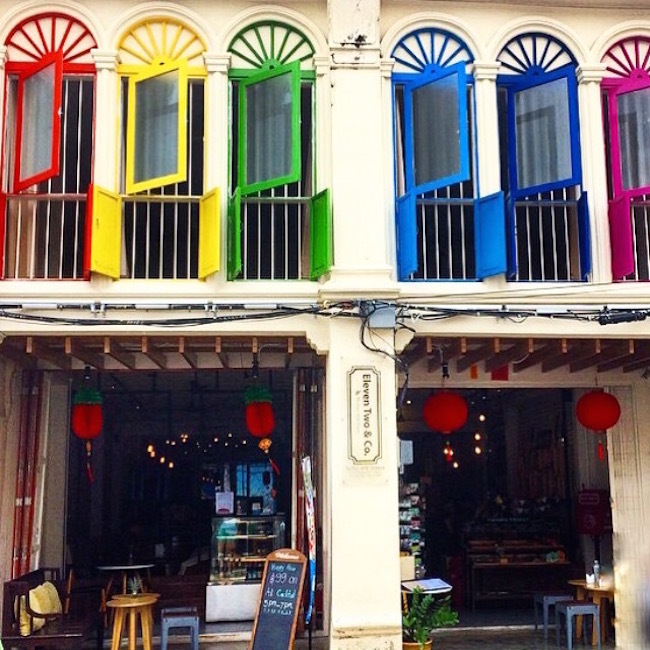 Old Phuket Town - Its fun walk around the old towns and enjoy some really good Chai Lattes and traditional cuisines! 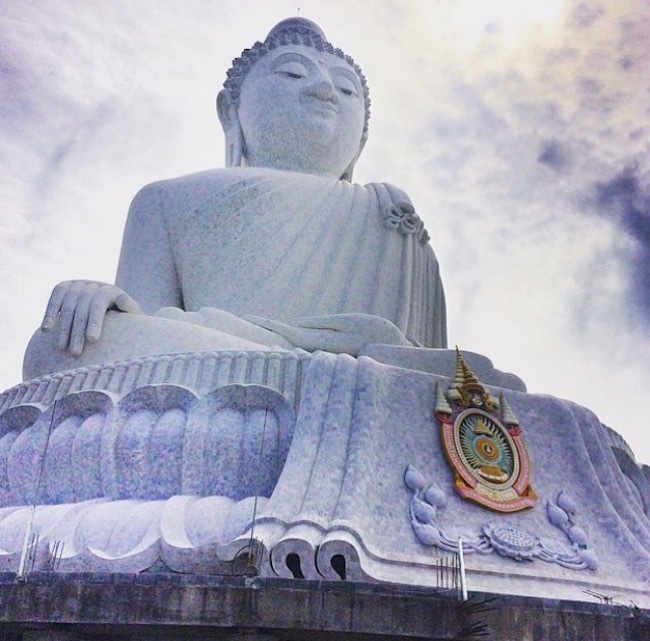 Big Buddha - South of Phuket. It stands on top of the Naked Hills and looks down over Chalong, Kate and Rawai. Wat Chalong and Phuket Temples - Wat Chanlong is one of the Phuket's most important temples. It is beautifully decorated with tiny glass pieces and pagodas! It will definitely be worth your time to go check it out! If you do go - be respectful of the Thai Culture and make sure to wear appropriate attires (long sleeve t-shirts & jeans!). 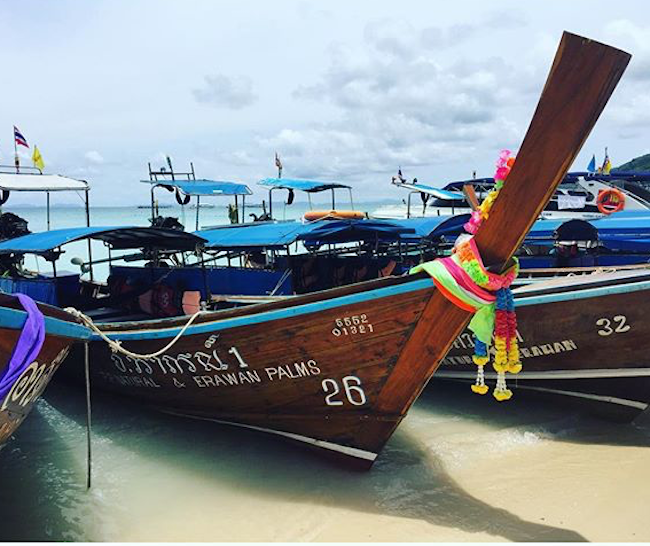 Phi Phi Island - I cannot express how much I love Phi Phi Island - It was love definitely love at first sight. The island itself is very hyped up and overly talked about, but it seriously does not disappoint. It is soooo beautiful. I loved playing in the water and laying out on the beach while enjoying some fresh coconut juice. 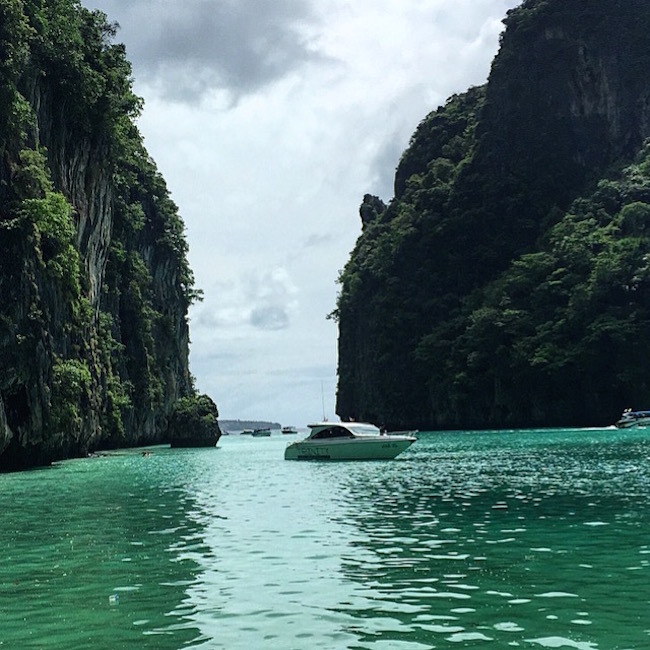 *I went back to Phi Phi Island twice when I was in Phuket and would definitely stay at a resort on Phi Phi Island the next I go back! 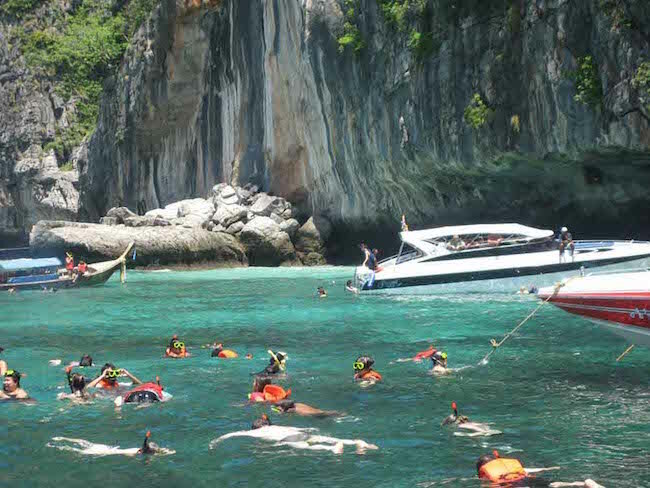 Snorkeling - Snorkeling can be done year-round in Phuket and you can rent snorkeling gear for a day at almost all the beaches! 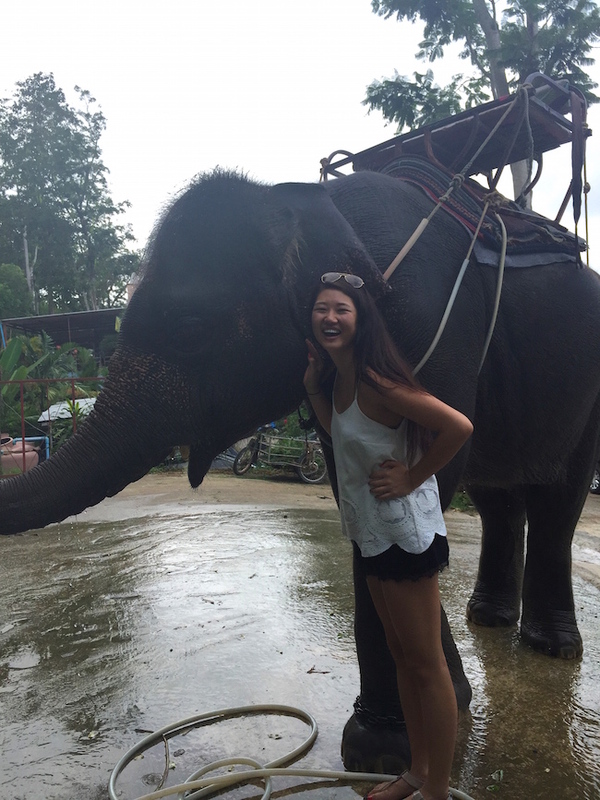 Elephant Trekking - Elephant trekking is a very popular activity in Phuket, there are about 15 different camp sites that you can pick from. Check this link for more info! Stay tuned for more Thailand posts coming soon!